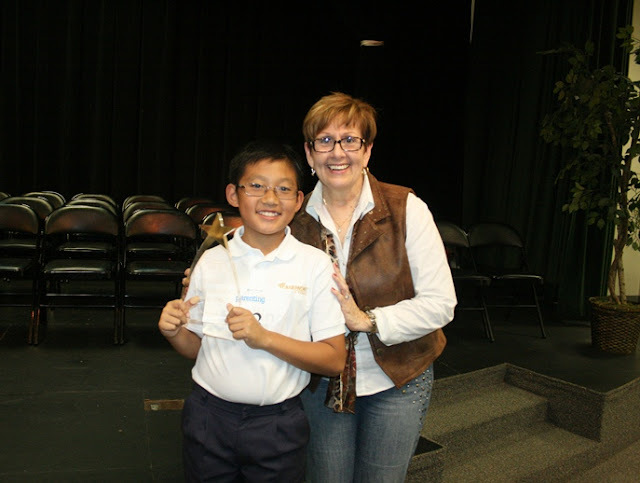 On April 27, Fairmont Mable Campus 5th grader Dayne T. took First Place at the Parenting OC Spelling Bee after spelling the winning word "mercurial" correctly. Campus Director Carole Calabria was there to cheer him on as he went up against 48 other student spellers! Dayne's classmate from Fairmont, Emaad R. took second place in the Bee, and the judge's favorite moment was when the boys continued to high-five even after learning they were each other’s competition in the spell-off for the title of champion. 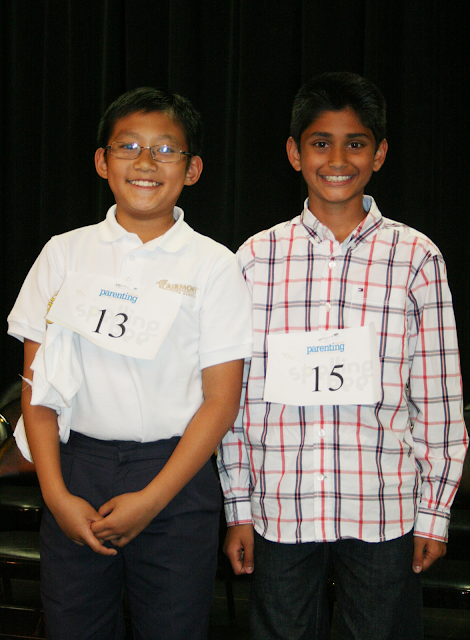 Great sportsmanship always deserves an applause!